Use the code PC-GAMER20 to knock 20 percent off ticket prices. We're delighted to welcome veteran strategy developer Firaxis to the PC Gamer Weekender at the London Olympia this February. Under the creative direction of developer legend Sid Meier, the studio is responsible for classics like Civilization, XCOM and XCOM 2, and they'll be talking to visitors directly from one of our stages on the show floor at our live event. 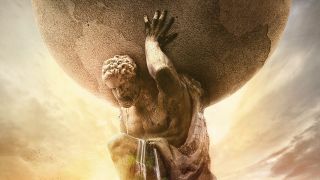 In a session titled Tales from the Helm of Civilization VI: Rise and Fall, lead designer Anton Strenger and lead producer Andrew Frederiksen will take you behind the scenes on the creation of this major new expansion for Civ VI, detailing the creative challenges and opportunities they faced during development. It's your chance to get some game development insight, and learn how some of the finest strategy designers in the business tick. For more on Civilization VI: Rise and Fall, you can follow the developers on Twiiter, Facebook, and the official Civilization website. In addition to Firaxis there will be many more stage talks and hands-on sessions with the best new and upcoming PC games at the PC Gamer Weekender. It's happening on February 17-18 at the Olympia, London, in the UK. For more details see the site, and follow us on Twitter for up-to-the-minute news. Tickets are available now from £12.99, though you can knock 20 percent off that price with the code PC-GAMER20.